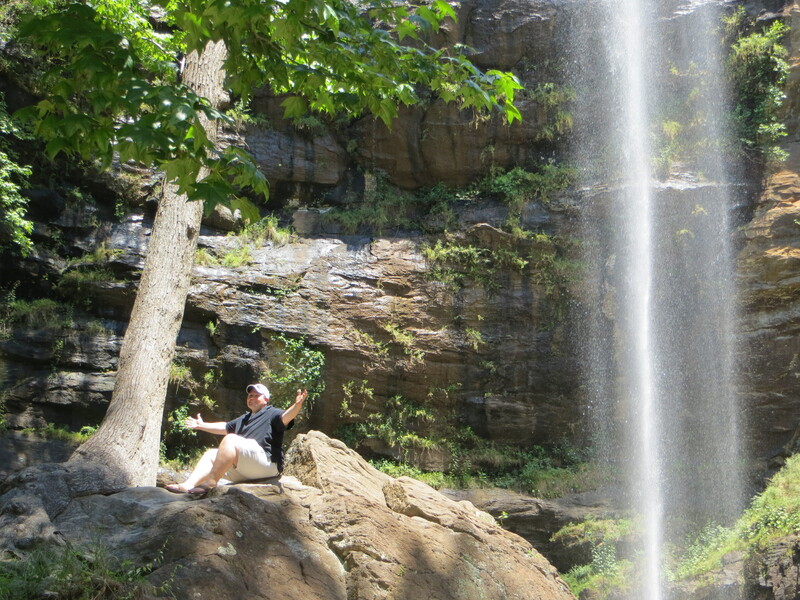 Which college / university can boast having a 186 ft waterfall on their campus? 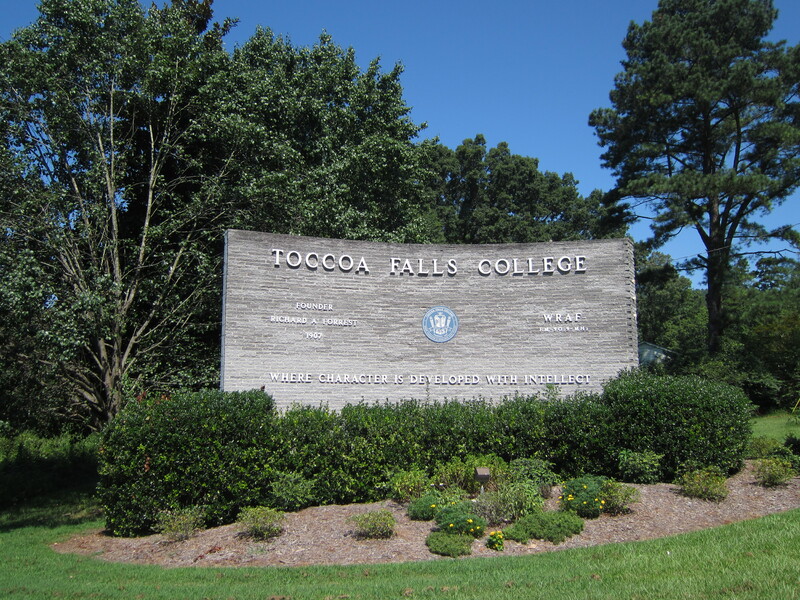 Well, Toccoa Falls College can! Last Saturday, Johnny and I drove 1.5 hours northeast from Atlanta to Toccoa, a small town on the border of Georgia and South Carolina. 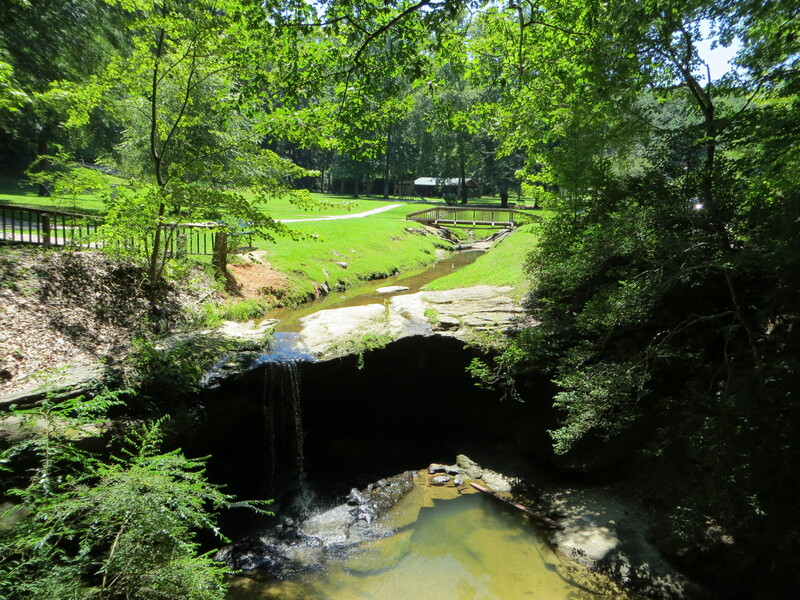 The Cherokee Indians were definitely spot on for naming this region “Toccoa,” which means beautiful. 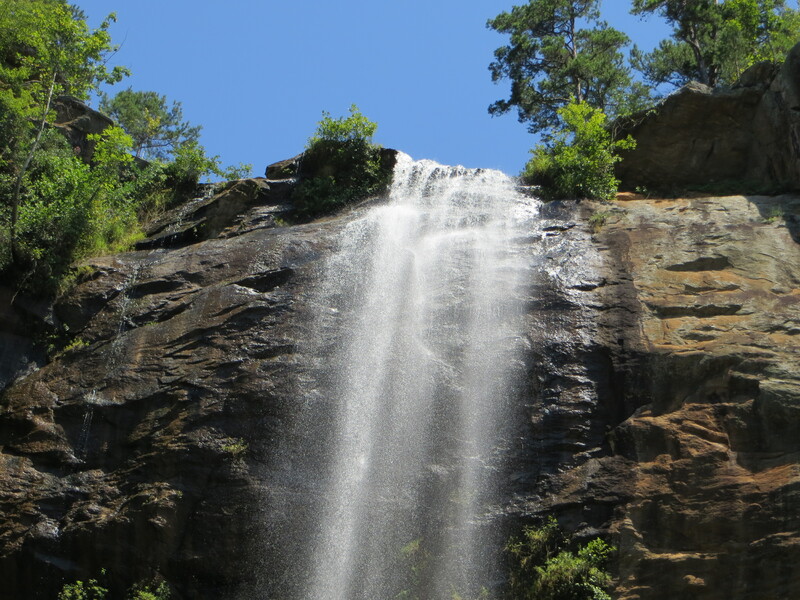 Visiting Toccoa Falls requires very little effort, but the payoff is definitely big. Once you enter the gate of the college, follow the signs pointing towards the gift shop. 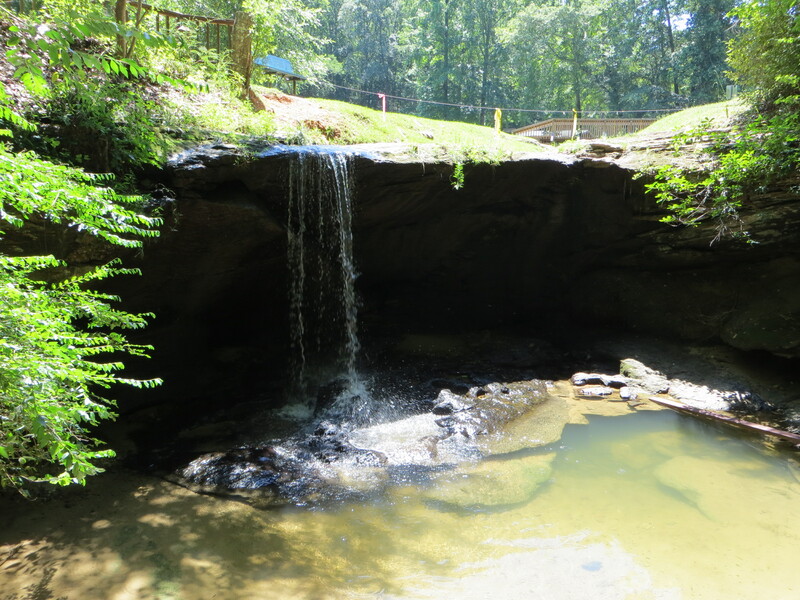 You can leave your car at the shop’s parking lot, then pay a small fee to see the waterfall. We only had to walk approximately 100 yards from the parking lot to the falls. 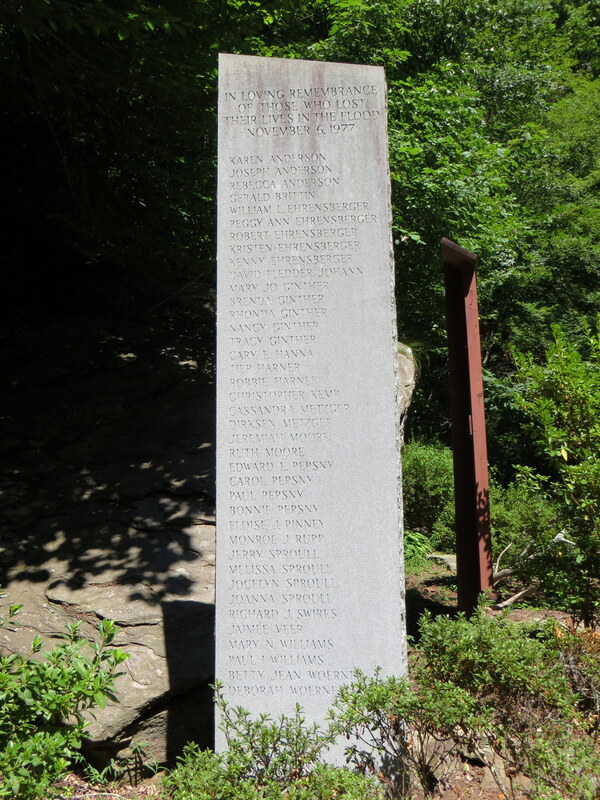 Along the way, we stopped at a plaque that is dedicated in memory of the victims of the 1977 flood. On November 6 of that year, after almost a week of continuous rain, a dam located above the campus broke. The water surge that it created swept away 39 people who were asleep in the early morning hours. 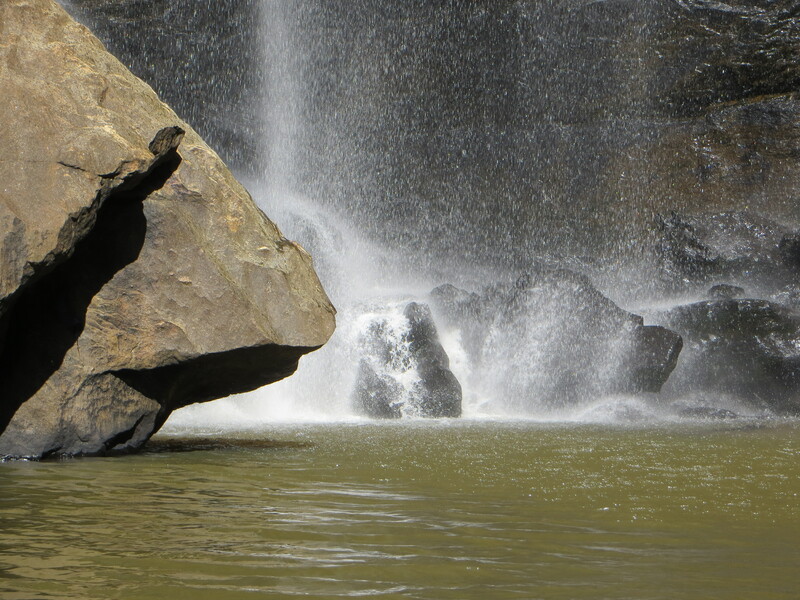 Once we reached the base of the falls, we climbed through the rocks to splash around at the wading pool. For the most part the water was quite shallow, but it did drop off deeper in some areas. Somebody’s having a really great time! 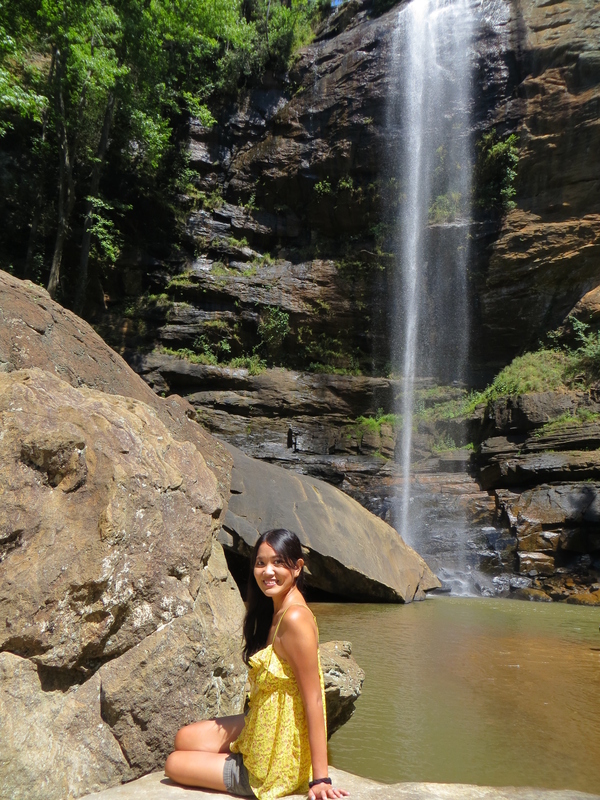 After we finished taking pictures of the waterfall, we left and made our way to a local park called Henderson Falls. 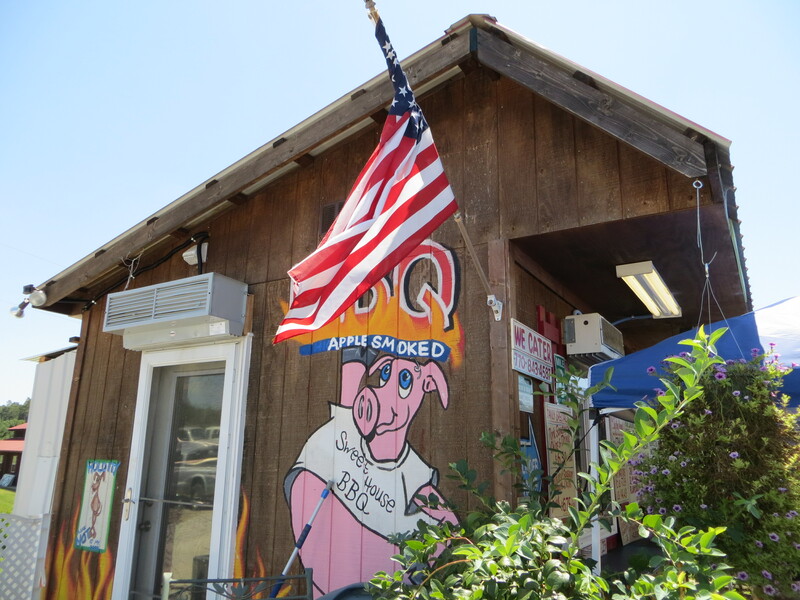 It’s a nice place to have a picnic and take a break, especially with its location just 1 mile away from downtown. 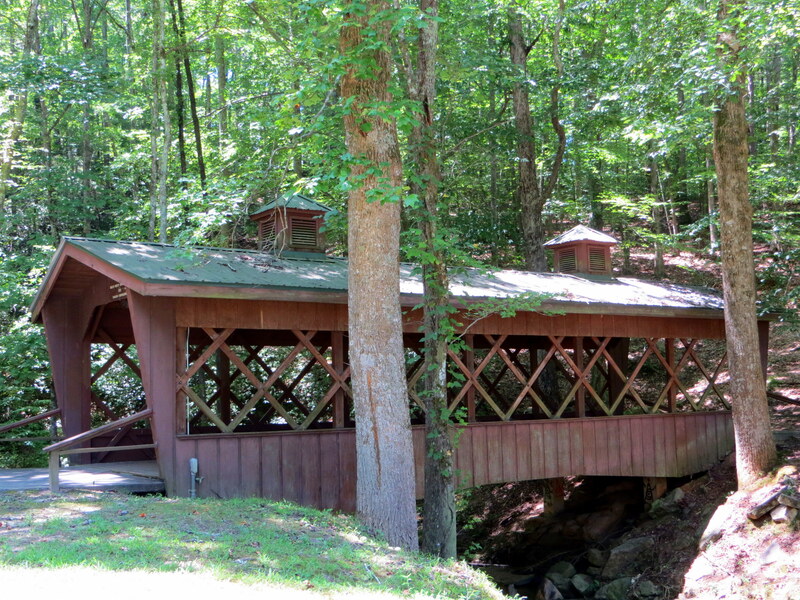 This scenic park has a cascade and a small waterfall, nature trails, tennis courts, and a covered bridge. 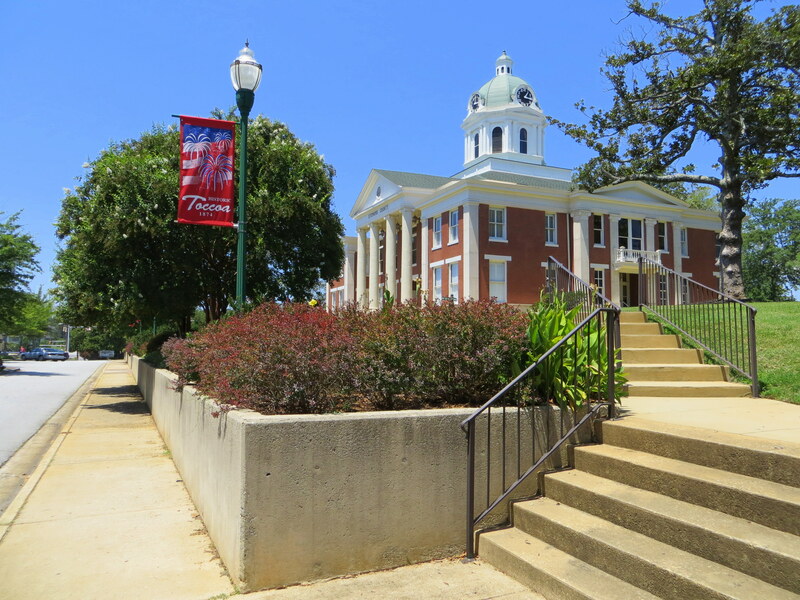 We then made the short drive to downtown Toccoa, which was pretty much dead on a Saturday afternoon. We would have loved to get some lunch here, but we could hardly find a restaurant that was open. 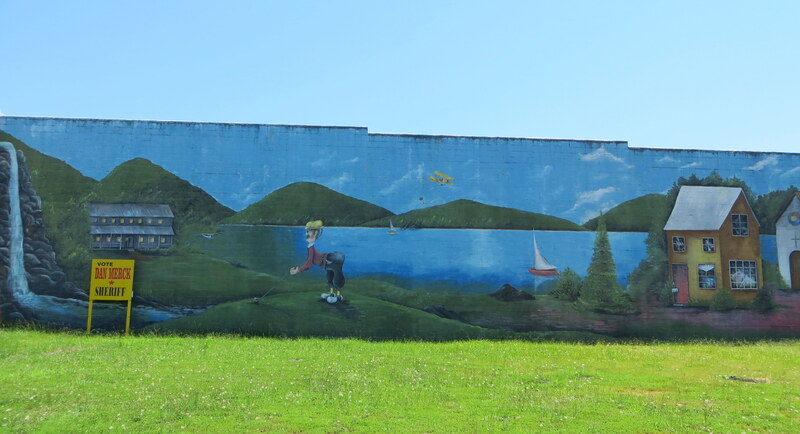 In typical Johnny and Nanette’s fashion, we did manage to take pictures of a cute mural and the old Courthouse. 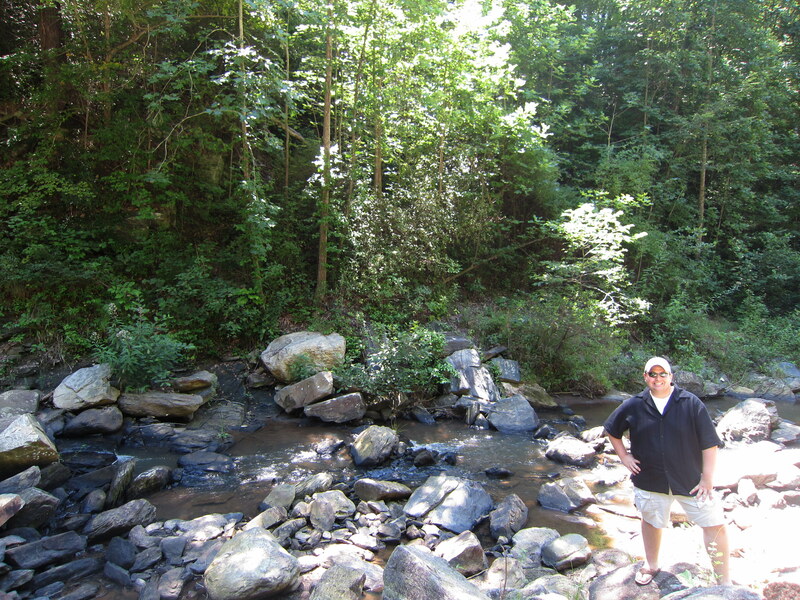 Having seen just about everything that Toccoa has to offer, it was time to get back on the highway and head back home. 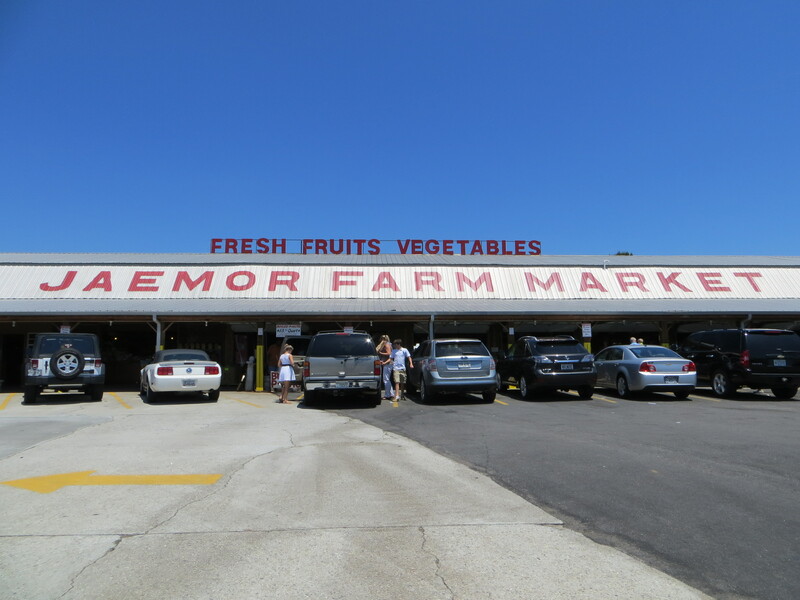 However, what would a Georgia road trip be without a stop over at a farmers market to sample some peaches? 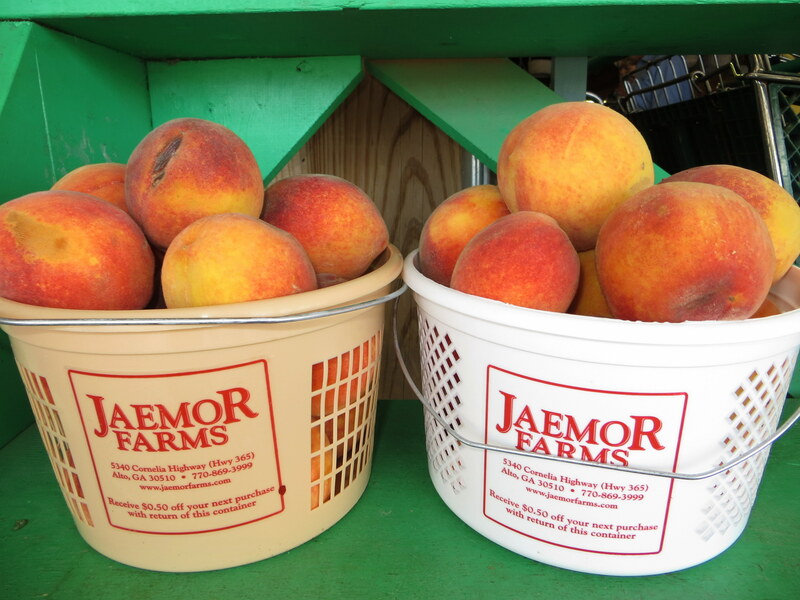 It’s peach season in Georgia! 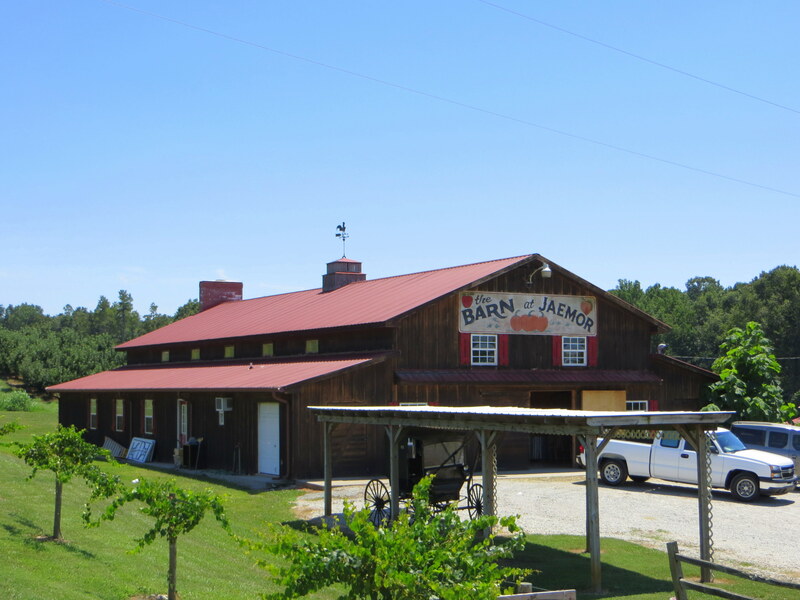 Along Highway 365 (Cornelia Highway) we found Jaemor Farms, a place abundant with the freshest locally grown produce. 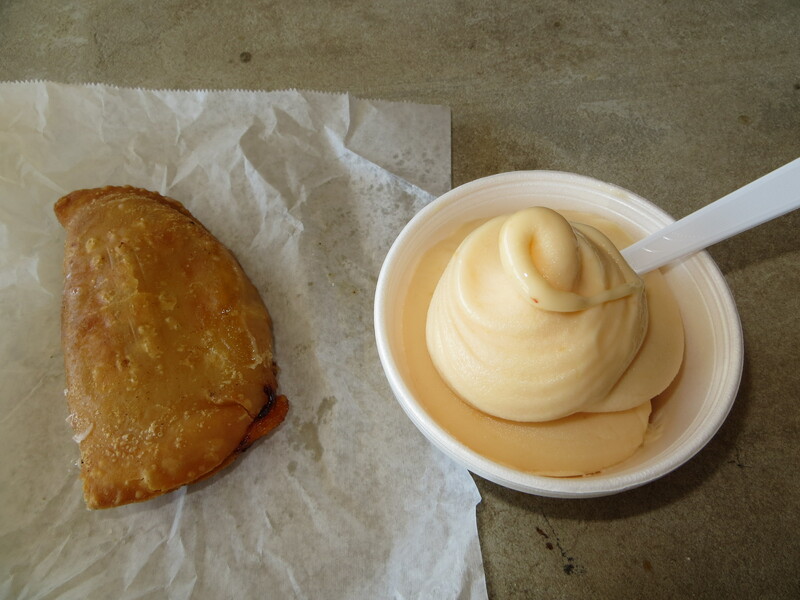 Since we were craving for something cold and sweet, we stood in line to give their fried peach pie and ice cream a try. After taking the first bite of the fried pie, I believe Johnny’s words were: “I could have eaten four or five of these!” Meanwhile, the homemade ice cream has a unique taste that’s like a blend between sorbet and ice cream. Later on, Johnny also enjoyed some muscadines and frozen muscadine cider. 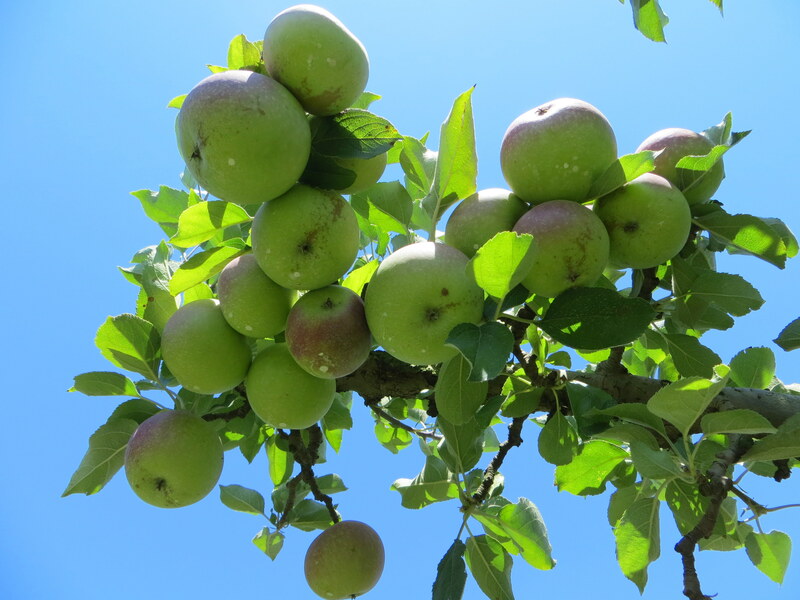 Before leaving the property, we took a stroll through the apple orchard. 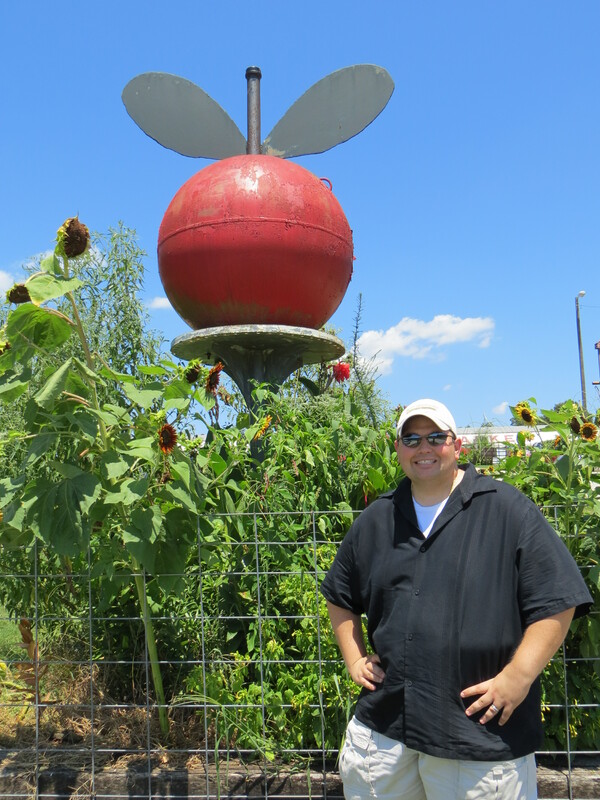 Seeing all the fruits made me want to come back in the fall when it’s apple harvest time. And that concludes our day trip to the North Georgia Mountains. For more pictures, feel free to take a look at our Flickr album. Traveling on an RV is our dream, too! Wow, “Toccoa” is beautiful! I am located in Atlanta and this is, definitely, something to consider for a weekend trip! Thanks for sharing the info! Nice pics! Thanks for stopping by our blog! 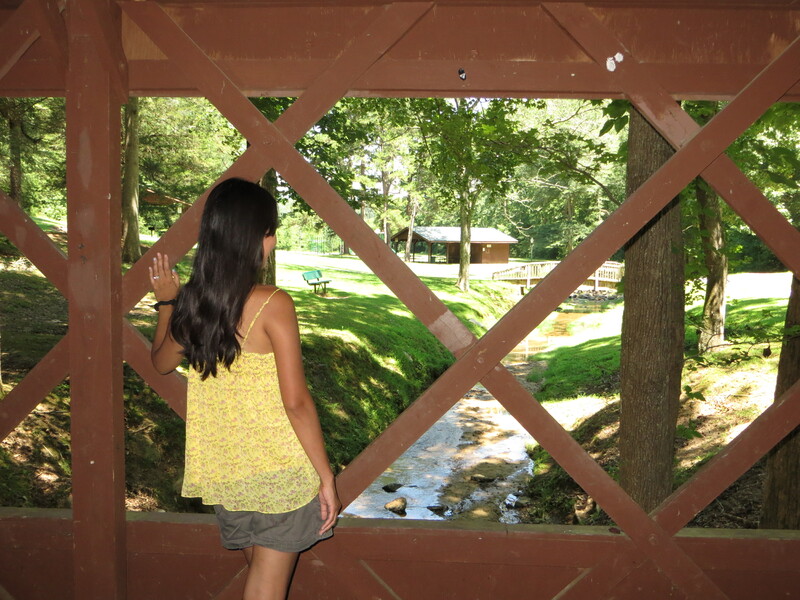 We love to take day trips when we have the opportunity, and this location has been on our list for a while. 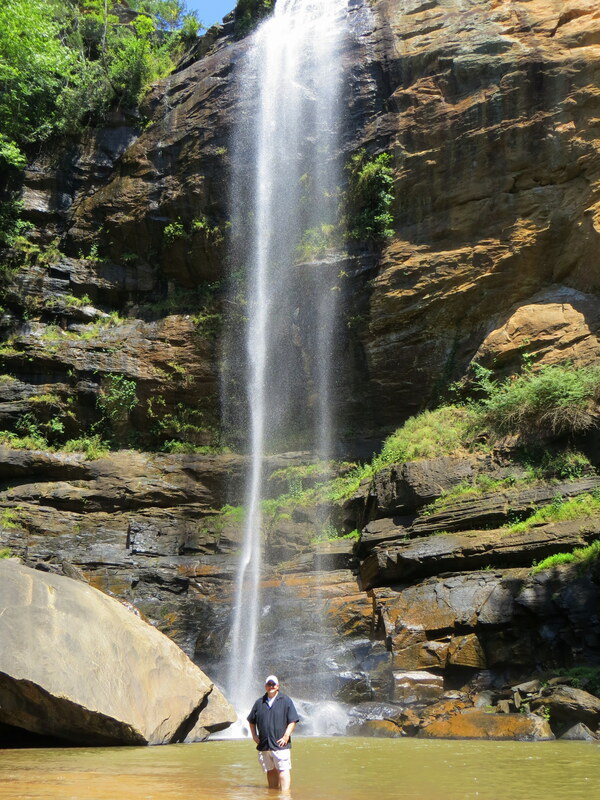 The falls are beautiful and worth the gas to see!